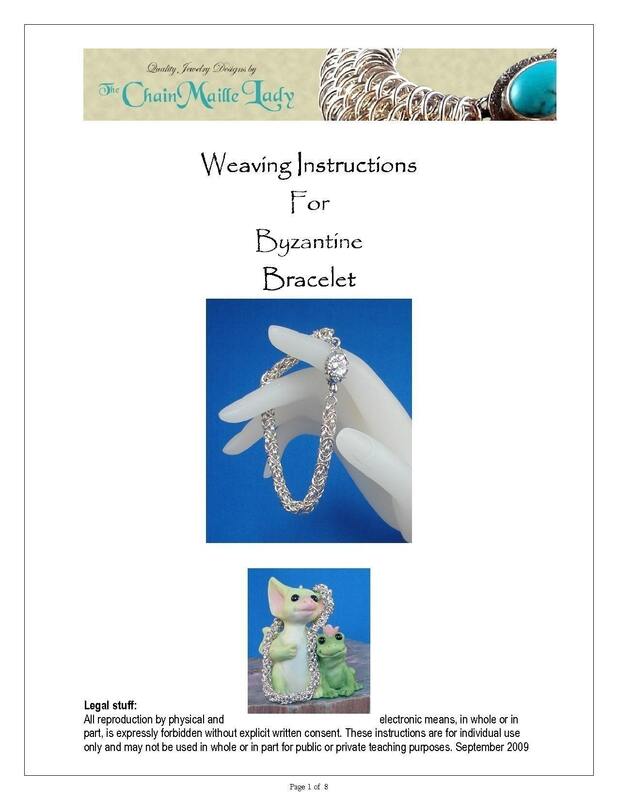 PDF Instructions on how to make a Byzantine, sometimes called the Birdcage, Chainmaille Bracelet. The Byzantine weave is a great weave for the beginner. If you have any questions or problems with the instructions you can always contact me. I will be happy to help. You will get a PDF file containing full color step by step instructions and a supplies list for the Byzantine Chainmaille Bracelet. I have been trying this pattern for awhile now and I even bought a kit but ALL efforts went south so I figured you are my last hope.Thanks for the effort creating this tutorial.Take care and stay safe.